The month of August is one of my favorite times of the year a time of reflection and gratitude. This has always been a slow time of year for me. A time to sit on the porch with a cold glass of iced tea and just sit, letting the warm air surround me, and the end of summer sounds lull me into a lazy half-sleep. There are fresh vegetables from the garden, or farmers market, that make even the simplest meals a feast. Ice cream tastes better with ripe fat blackberries, or sweet peaches on top. The trees are making a tired sound as the August breezes blow through leaves that are drying out and getting ready to turn into autumns crowning glory of red and gold. In May there is excitement, joyousness and expectations in the air, but in August the air begins to get sleepy, tired and a little sad. In just a few short weeks our children will be back in school, the air will turn cold and instead of juicy watermelon on the back porch it will be hot chocolate with cookies at the kitchen table. As you can see, for me, August is a time of reflection and remembrance but it is also a time to take stock and explore what I am grateful for. And, today gratitude fills my thoughts. 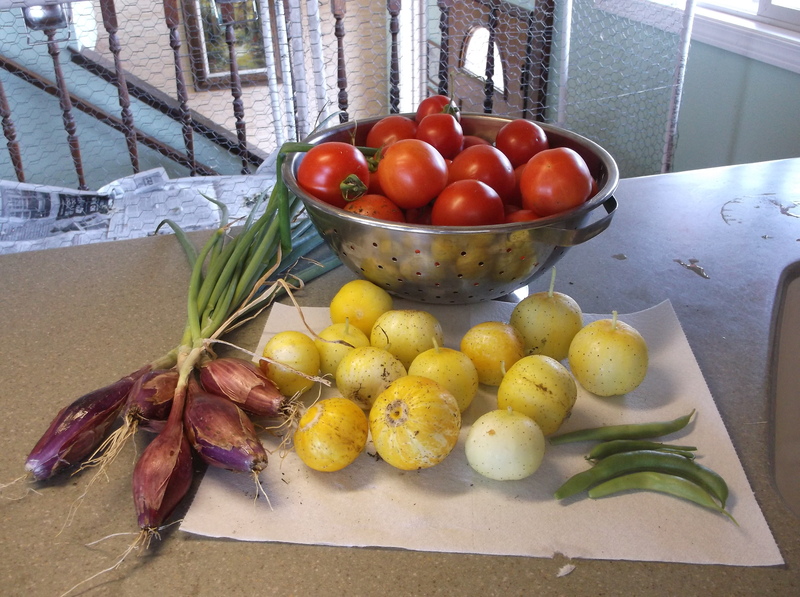 I am grateful for the warm sun and gentle rains that have fed my vegetable garden this year. I have feasted on fresh lettuce, green beans, garlic, onions, tomatoes and cucumbers. I have been able to put some in our freezer to pull out and remember the warm summer sun in the darkness of winter. I am grateful for the time spent lying in the shade and letting our dogs use me as a chew toy. Together John and I have watched the sun set over the Olympic Mountains, turning the gold and purple and the waters of Puget Sound into silver. I am grateful for walks in Yost Park and along the Edmonds beach, watching children play in forest and sand. I am grateful for the feeling of life that thrums through me when I watch the sunrise over the trees of Yost Park, turning the sky from dark to bright and the Olympic Mountains pink with the first rays of light. I am grateful for the silence of the morning as I sit and meditate on our deck before sunrise. And, I am grateful for the opportunity to write in my blog, to have the time to read or simply sit and just be. Gratitude is what warms my heart and gratitude is the spiritual practice I am asking you to join me in this week. You have read some of what I am grateful for now it is your turn. As this summer winds down what are you grateful for? Has something, no matter how small, given you pleasure or challenged you this summer? Have you done something that warms your heart and causes’ it to “swell with thanksgiving?” Did you travel, or read a book, or did you just stop and let the summer wash over you? All of these, and more, are reasons to be grateful. May G-d bless these your last days of summer with juicy berries and sweet peaches, gentle breezes and warm sunshine. And, may you heart swell with gratitude for the gifts G-d graces you with.